Bella and Henna are the featured pets of the week at Monroe County Animal Shelter. 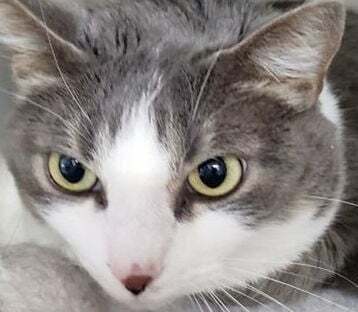 Bella is a 4-year-old gray and white short-haired cat who is affectionate and needs to be indoors only. She has not been around other animals, but she could adjust. Bella needs daily playtime and diet control to keep her active and healthy. 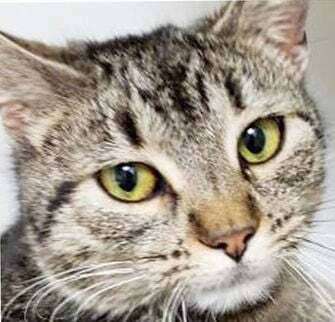 Henna is a 1-year-old brown tabby who was brought in as a stray. She is sweet, loves everyone and will sit and stare at you, hoping you will pet her. It’s uncertain whether Henna will get along with other cats or dogs. All animals adopted from the animal shelter are spayed or neutered, have age-appropriate vaccinations and are microchipped with registration. Cats are tested for the feline leukemia virus and feline immunodeficiency virus, and dogs are tested for heartworms. Cats are litter-box trained. The adoption fee is $40 over 2 years old and $50 under 2 years old. The Spay Neuter Assistance for Pets program offers free vouchers to qualifying families for a spay or neuter procedure at participating local veterinarians. Those in Loudon County can visit http://www.spaytennessee.org to find other options. People Promoting Animal Welfare in Greenback offers low-cost neutering for those who do not meet income or county qualifications. Those who have lost a pet or found a lost cat or dog in Monroe County may call the animal shelter at 423-442-1015. Visit the shelter 11 a.m.-4:30 p.m. Tuesday-Friday and 11 a.m.-2 p.m. Saturdays at 170 Kefauver Lane in Madisonville behind Walmart. The shelter is closed to the public Sunday and Monday. For more information, call 423-442-1015. Shelter officials are able to post information on its Facebook page. Information on lost and found pets is then sent to the Monroe County Friends of Animals and the MCFA Thrift Store Facebook pages. Animal control in Monroe County is administered through the Monroe County Sheriff’s Office. To report cases of stray animals, potential animal endangerment or neglect, call 423-442-3911.